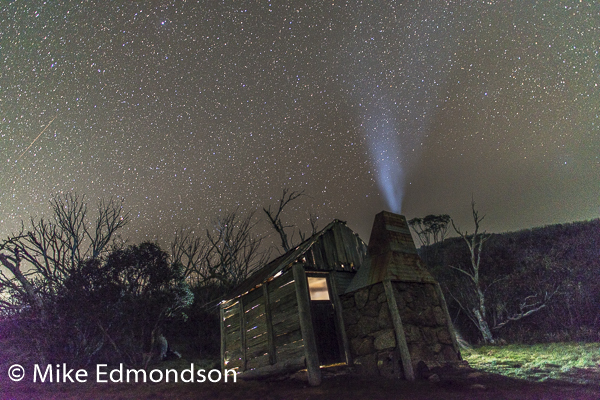 Over four days we explore some magic locations visiting many historic stockman's and miners huts in the Kosciuszko National Park, New South Wales. 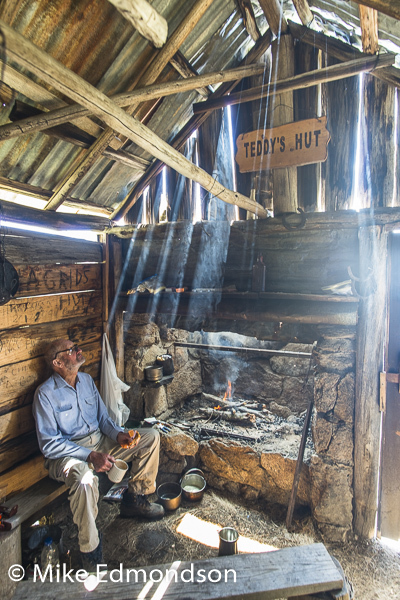 Historic huts we can visit include Cascade Hut, Teddies Hut, Tin Mines Hut, Carter's Hut, Horse Camp Hut, Whites River Hut and Disappointment Spur Hut. 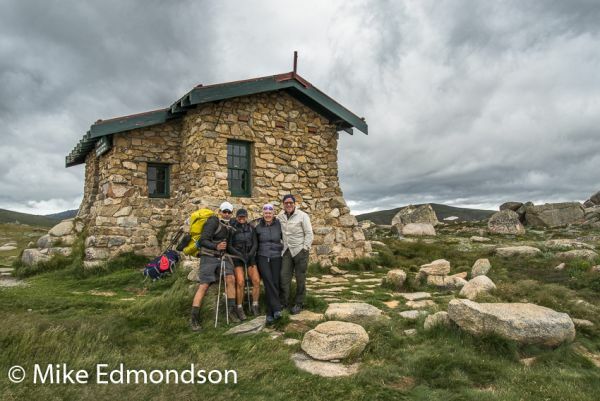 With the added extra option to also visit Cootapatamba Hut and summit Mt Kosciuszko at 2228m and/or visit Lake Cootapatamba. 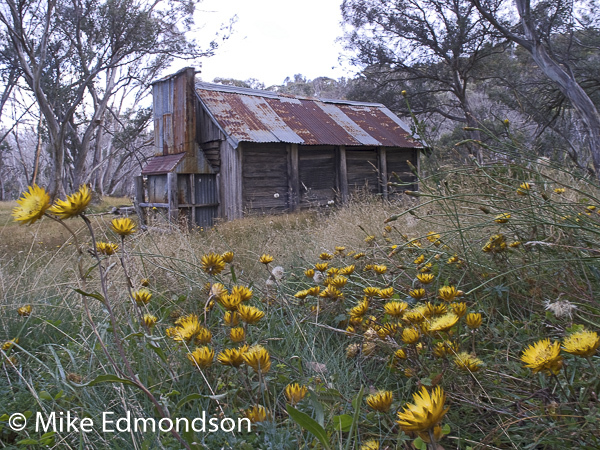 Mike, his family and the Illawarra Alpine Club have been passionately caretaking four of these huts for over forty years. Clients have the choice to base their walk from lodge accommodation in Jindabyne or camping in the mountains close to the huts. We often eat lunch in the huts over a cup of tea or hot chocolate around the fire, with many photo and exploring opportunities. Jindabyne has a wonderful charm and is a good place to relax after a hard day’s walk. There is a range of quality accommodation to choose from including lodges, hotels and the comfy backpackers. The camping option is popular for those wishing to camp close to the huts in scenic locations often nestled amongst the snow gums. Walk to the huts with light day packs and watch the sun set and rise from camp. 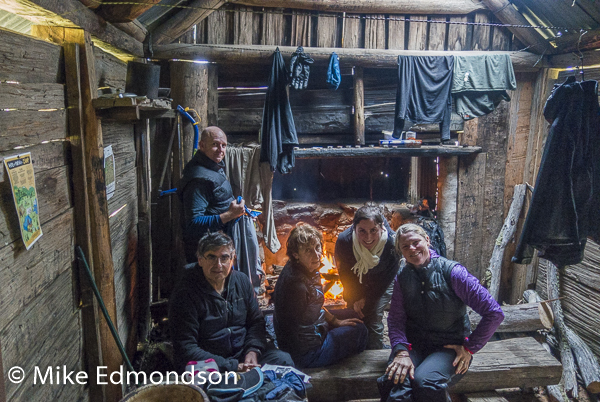 The program to complete the huts tour is over four days, walking approximately 60km. The average walker takes 20 hours (not including breaks) to reach the huts. The four-day program allows time to enjoy the wonderful alpine scenery, without feeling you need to rush off to the next hut. 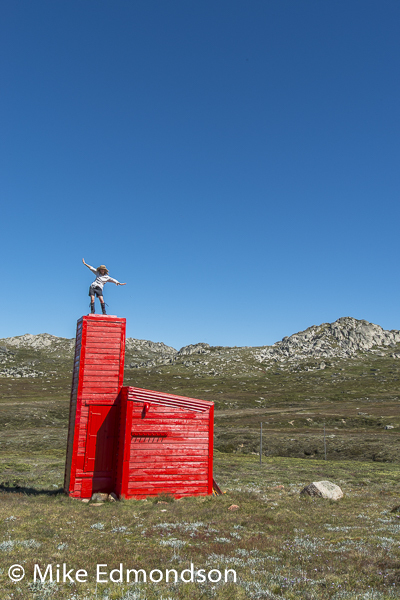 The historic huts tour is a great way to get fit, explore the magnificent Kosciuszko National Park and learn about the history of the area. Some clients also organise their own private, fun, small group of 4-5 friends. For those who may find the huts tour too challenging we can customise an easier walk to scenic locations, peaks and a few historical stockmen's huts. Cost: $700 pp for 3-5 clients, $860 pp for 2 clients or $1440 for a private walk with one person. When to walk? The best time to walk the huts tour is from late September through to May as the weather is generally fine and the days are longer. Snow drifts remain until late in the year and spectacular alpine flowers bloom in the warmer months from December through to late January. During winter months, from July to September, the walk is slightly more difficult so we use snowshoes. Completing the challenge on cross country skis is an option for those with intermediate skiing skills. Travel to and from Thredbo (Mike can provide car transport from the Canberra bus terminal (Jolimont Centre) or Canberra Airport for a fee. Transport from Canberra to Thredbo is difficult in summer unless you have a car. Camping equipment (hire gear is available as follows for four days): Thermarest NeoAir Xtherm sleep mat $40 pp, Macpac Minaret four season tent $60 per tent or two person Macpac Olympus tent $90 per tent, down winter sleeping bag and inner sheet $50 pp, overnight backpack & rain cover, $40 pp, stove, fuel & food $120 pp or $40 pp stove & fuel. Bookings: Please email me your name, phone number and preferred dates. A 50% deposit is required to secure your booking. Once this is done you will receive an information sheet including the Ten Peaks itinerary as well as clothing, equipment and training requirements to help you prepare for your adventure. You will also be required to sign a liability waiver.